Both David and I grew up in the suburbs, but have been living in Toronto for the past seven years. When we found out we were expecting, we considered what it would be like to raise a family in the city. We weighed the pros and cons, including housing costs, our commute, child care, access to resources, etc. We decided it would be best for us to stay at this time in our lives. 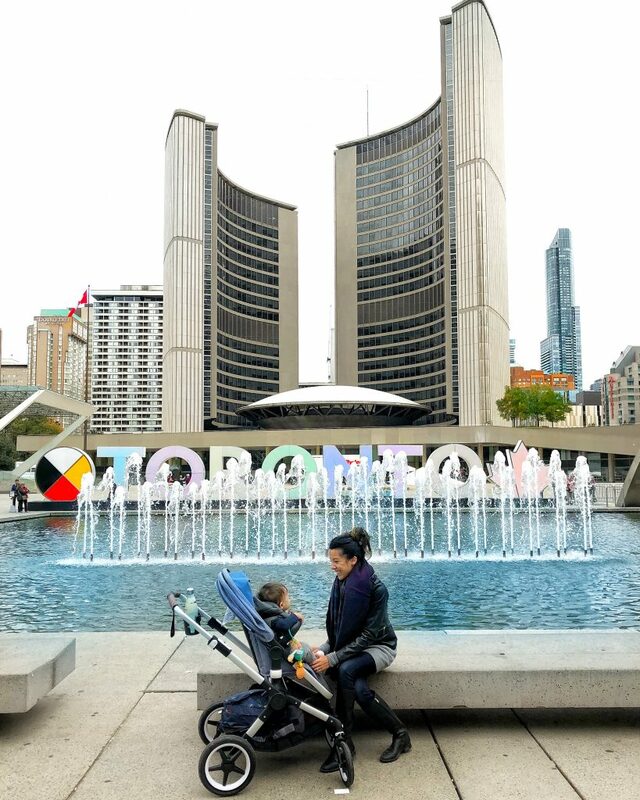 Fast forward to today – our baby is nearly a year and a half and has fully integrated into our life in the city. 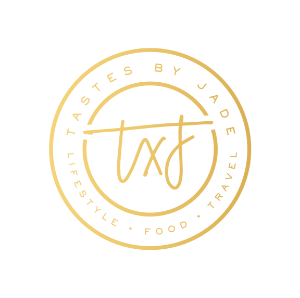 Although there are pros and cons, right now we prefer the short commute to work, access to a variety of public resources, a community that values diversity and inclusion, and lots of things to do (and places to eat) right in our own backyard. So what is it really like raising a kid in the city? This is my perspective of what it’s like, as a 30-year-old, young professional, middle -class parent. 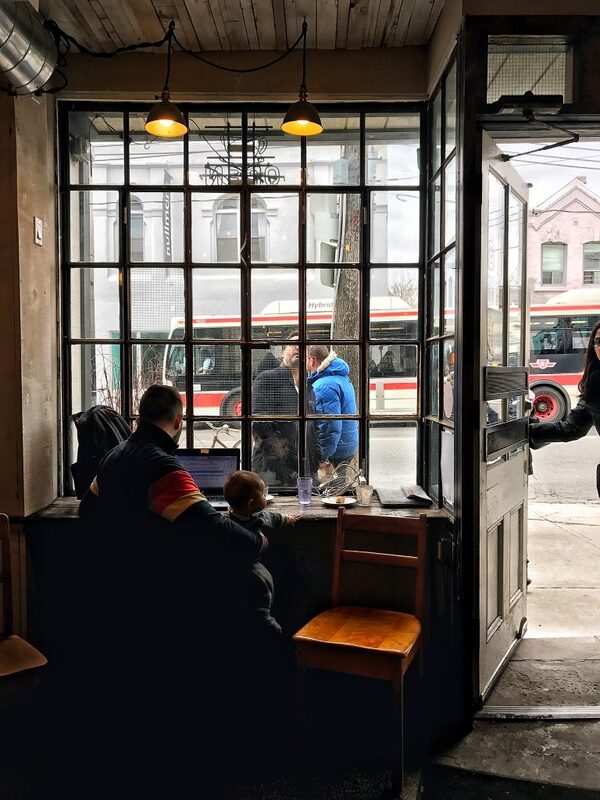 From Parkdale to Riverdale, Scarborough to Etobicoke, Toronto is a city of unique neighbourhoods. That means you can still enjoy a sense of community even while living in a city of 2.7 million. Each neighbourhood has its quirks, a rich culture, and unique story. 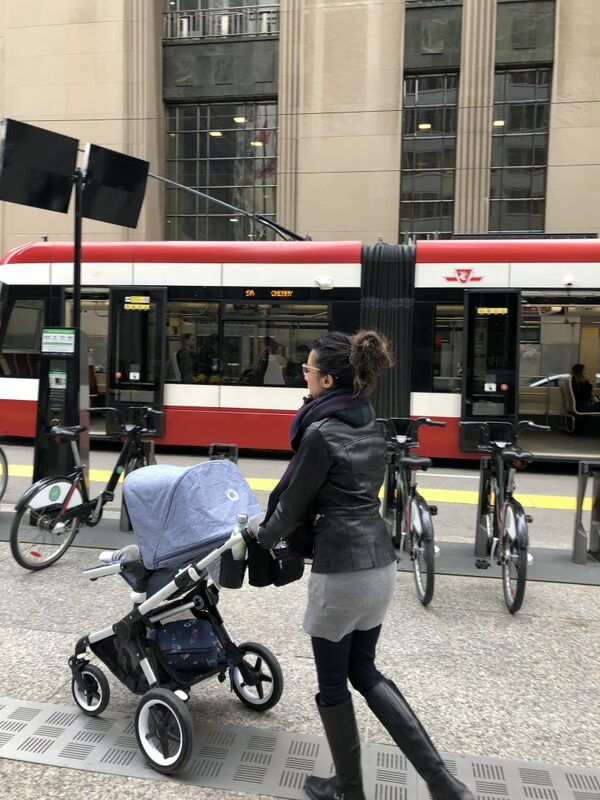 Being able to walk to a cafe, restaurant, park, farmers market, or small shop helps new parents feel connected (although not all Toronto neighbourhoods are that walkable). 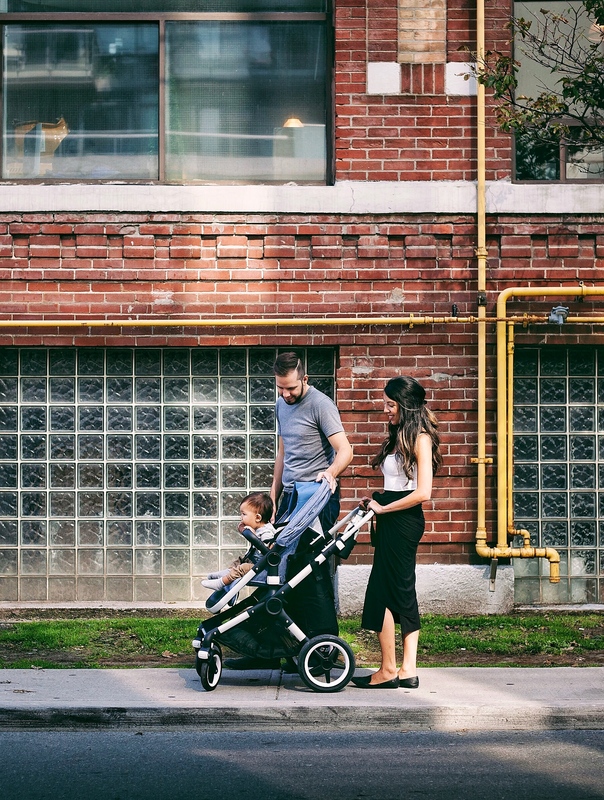 Some of the most family-friendly neighbourhoods in which to live include Thornhill, Roncesvalles, the Annex, the Junction, Bloor West Village, the Beaches, Danforth and Leslieville. Housing costs in Toronto are one of the most unaffordable in the country. On top of that, the rental vacancy rates are way below healthy levels of 3 percent (we currently sit at around 1.3 percent) and the waitlist for social housing is expected to have over 100k people by 2020. The average 2-bedroom condo costs between $500k-$700k, and rent for a 2-bedroom is around $2500-$3000 per month. With housing costs at an all time high, more and more families are living in condos. Having lived in a condo for nearly seven years, we’ve had to learn to live with less stuff and optimize the space we do have. 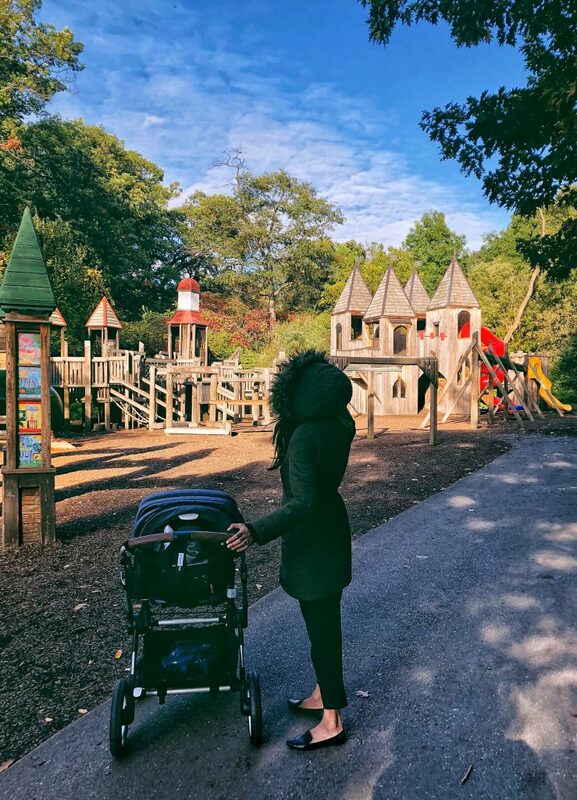 One of the things we’ve got in the habit of doing since having a baby is decluttering on a monthly basis (and going on lots of walks). Living in a small space forces you to get out and enjoy your community. 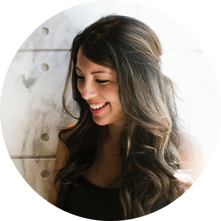 Living in Toronto means you are steps or a quick drive away from some amazing urban amenities, such as its beautiful parks, cafes, playgrounds, the lake, splash pads, community play groups, restaurants, libraries, food markets, aquariums and museums. Children learn a lot from being exposed to a variety of experiences, and there never seems to be a shortage of things to do in the city. Being stuck in traffic on the Gardiner with a crying baby in the back seat is one of the most unpleasant experiences. A close second is being stuck in a busy street car with a crying baby. As with most cities, traffic is bad in Toronto. But what makes it even worse is the TTC’s limitations. Several subways are still inaccessible for strollers, and the old street cars are narrow. Pro: Street car drivers are obliged to help people with strollers up the stairs. Con: Not everyone gives a seat to people with young children. Thousands of people move to Toronto each year for its thriving job market. Thousands more commute from all over the province to get to work. Living close to where you work means you can spend less time commuting and more time investing in family, friends, community and yourself. Here is a list of accessible TTC stations. 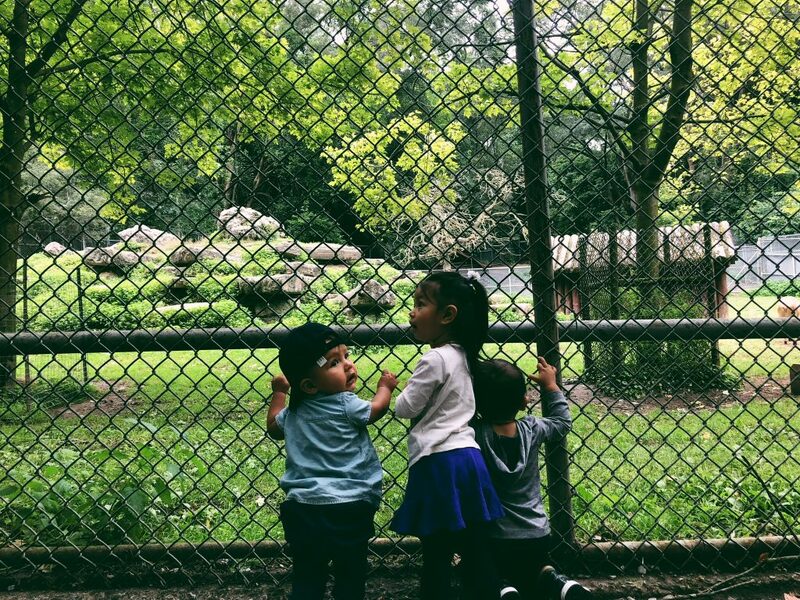 Child care in Toronto is one of the most expensive in the country. The median cost of child care sits at around $1700/month but can be as high as $2300/ month for full time care. You need to get on the waitlist very early on (like, 12 months early). Toronto does offer subsidies for some child care centres – but you need to apply. Here is a good resource that rates child care centres in the city. I’ve heard it time and time again – Toronto’s diversity is unparalleled. More than 50 percent of its population identifies as a visible minority and 47 percent are immigrants. 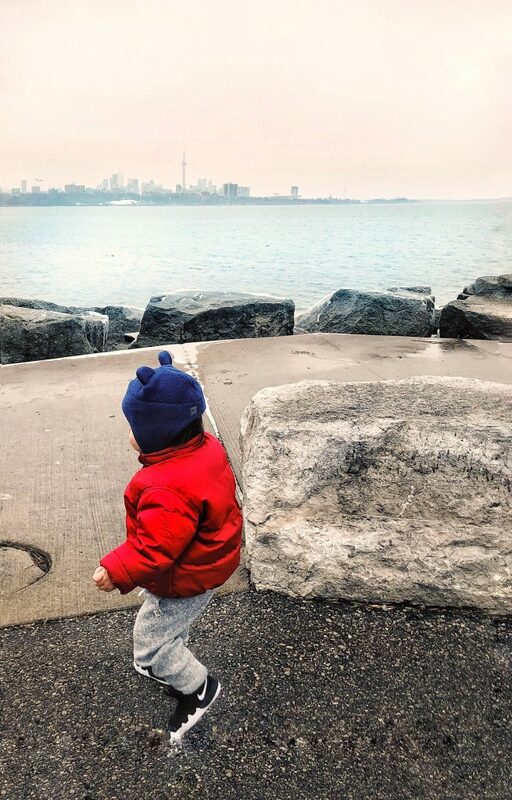 Living and raising a family in Toronto means that your child is more likely to meet and interact with people from all walks of life and get a glimpse of the world outside of Canada. Most of all, living in this city provides the perfect backdrop to teach children how to live harmoniously with people regardless of age, ability, gender, sexual orientation, class, religion, and ethnicity. As someone who appreciates diversity and hearing different perspectives, Toronto is a beautiful place in which to live. 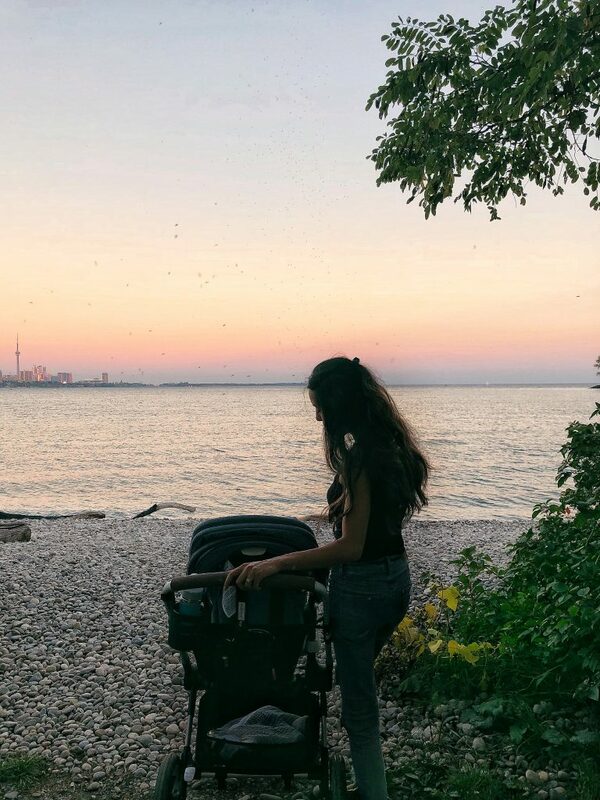 Stroller pictured is the Bugaboo Fox, which in my opinion is the best stroller for city living!